Ever since the OnePlus 3 launched last month, only the graphite color variant of the phone has been available for purchase. However, looks like the soft gold colored model will also be on sale soon as the company has started teasing the device. 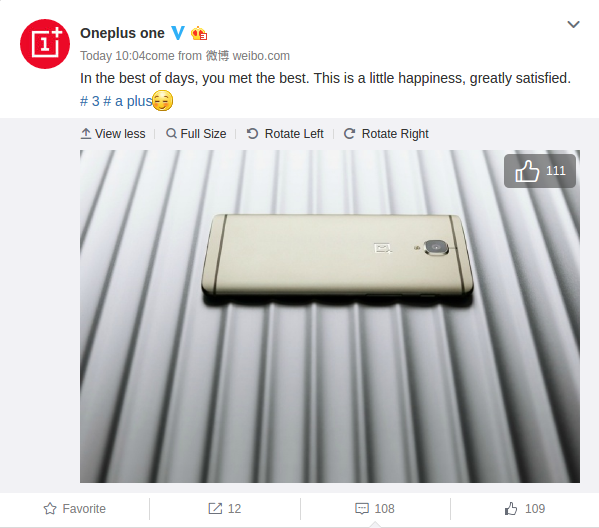 If you recall, OnePlus co-founder Carl Pei - while replying to a user query on Twitter - revealed last month that the soft gold variant of the OP3 will be launched sometime in July. Given that majority of July is already over, it'd not be a stretch to assume that the launch is imminent. Will the soft gold have oxygen os ra hydrogen os?? ?